Product prices and availability are accurate as of 2019-04-22 10:48:48 UTC and are subject to change. Any price and availability information displayed on http://www.amazon.com/ at the time of purchase will apply to the purchase of this product. Bravo! Encore! 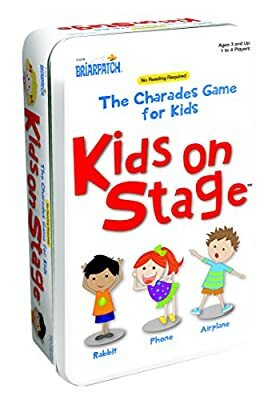 Everyone's applauding Kids on Stage, the fun, creative way to encourage confidence and develop communication skills in young children. Everyone gets in on the act on every turn. Each player takes a turn acting out animals, objects or actions while the other players guess. It's a game the whole family can play and enjoy.